I want to be able to thrive regardless of the situation I am in or what gear I have with me. For that reason I have been learning primitive skills. My region of the U.S. is said to be due for a large scale earthquake similar to the recent quakes in Haiti and Japan. If it happens, I would like to be ready. I want to have as many skills as possible so I can be an asset to my community. 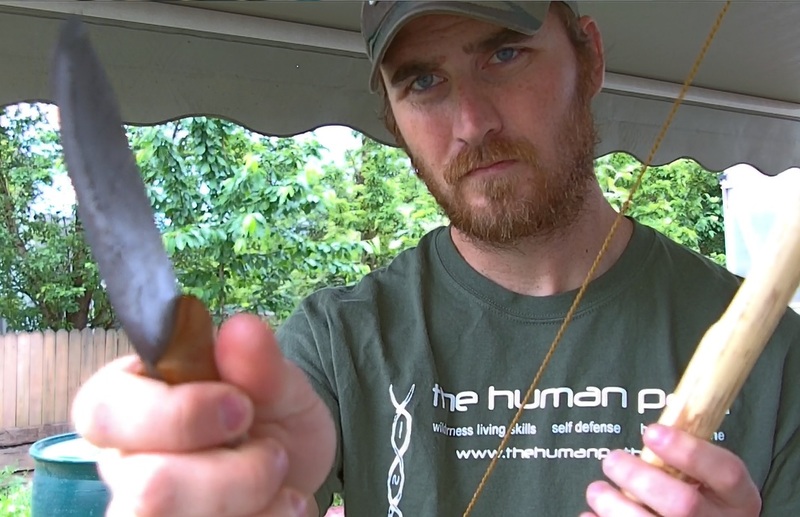 Me with the knife I made in blacksmithing class and the primitive bow I carved from native wood. The string was made with a synthetic sinew. 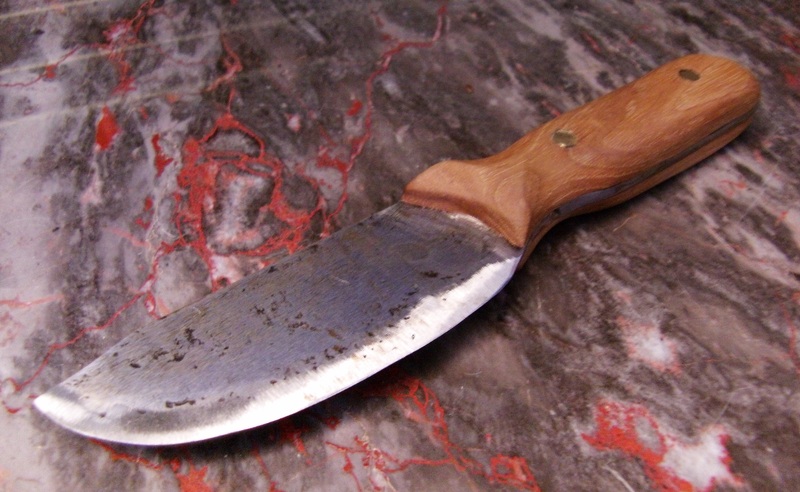 A survival knife I forged in a blacksmithing class. 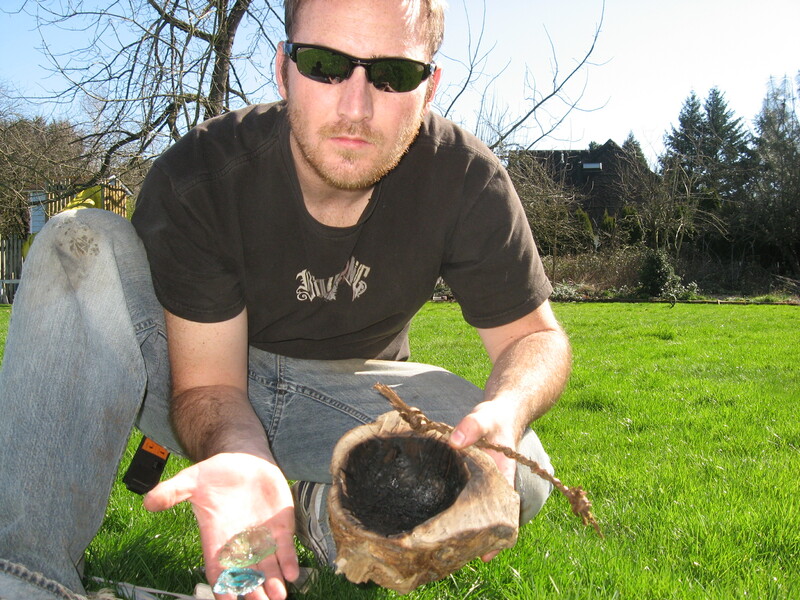 It has been very fun to put into action techniques I’d read about in anthropology courses back in school combined with things I’d seen on survival shows. 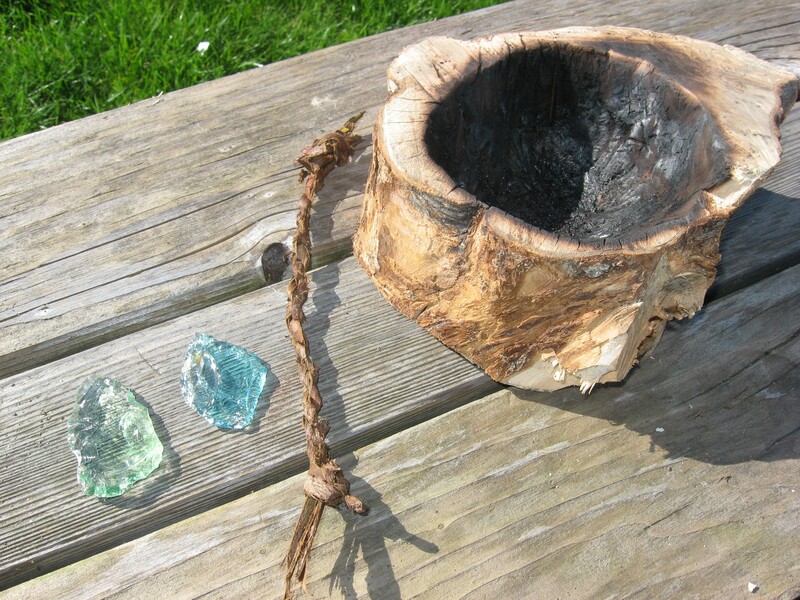 Arrow heads knapped from glass bottles, cordage from bark, and a burn bowl made by using coals to burn away the inside of a stump. I think the key here is to practice these skills prior to being in a situation where your life depends on them. Just because you have seen someone do something on tv or on Youtube does not mean you can do it. Understanding theory, and practical application are two very different things. 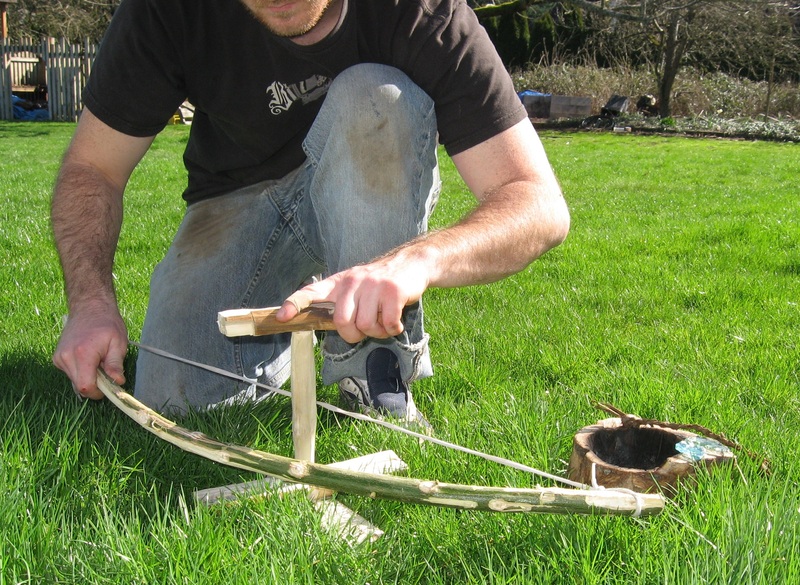 Attempting to make a fire with a bow drill.